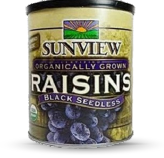 Our raisins are jumbo size! 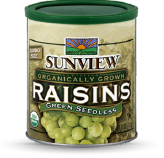 Prior to harvest, our raisins reach full maturity giving you peak flavor and moisture. Best of all, they are farmed organically without the use of synthetic pesticides, herbicides and fertilizers. 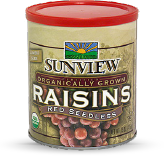 If you are unable to purchase our raisins from your local grocery store, you may purchase them direct from our farm.